I’m not going to pretend to be any kind of coffee aficionado. I drank my very first coffee about 3 months ago but have taken to this marvelous hobby like a duck to water. I’ve finally managed to shake my morning requirement of a V energy drink because coffee is just so so fab. I must admit, I’ve been fortunate enough to be initiated into the world of coffee in the best possible way. Via my most precious appliance, the beautiful Nespresso Inissia machine. My lush Nespresso coffee is an expensive drop however. Dave and I both adore our new ritual but we can burn through $50 worth of capsules way too quickly. There is an alternative though. www.mycoffeecapsules.co.nz sent me some Grande Gusto Medley Packs of Caffesso pods to try out and I’ve been sampling the varieties over the past week. There’s extra packaging! 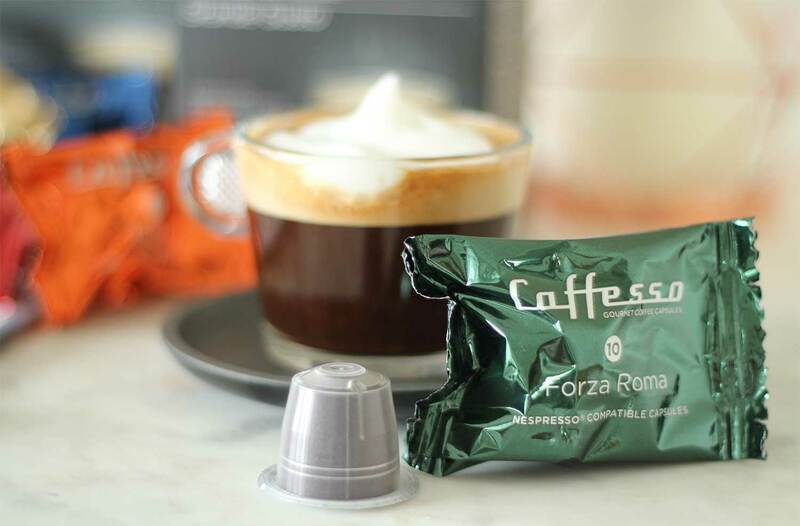 After checking with the lovely peeps at My Coffee Capsules they were happy to report that all pods will soon be hermetically sealed in the same way Nespresso is packaged, eliminating the need for the extra vacuum sealed foil packaging and making Caffesso pods 100% recyclable, yay! I have previously experimented with Nespresso alternatives available at the supermarket and have been less than impressed, plus, after suffering through muddy plunger coffee at our rented accommodation in Raro I was actually quite scared of discovering more coffee I didn’t like. Not a problem thank goodness. To be honest, I haven’t even bothered with the Decaffeinato, because, COFFEE. But I’m sure it tastes great. As for the other varieties, soooo far removed from those available on the supermarket shelves – Caffesso has successfully sourced straight up, great coffee. What’s kinda nice about opening the foil pouch is that you get an instant, fragrant hit of fresh coffee, I love that. Thankfully the aroma doesn’t stop there but continues after the brewing process is complete and your beautiful cup of barista-ish coffee is ready to enjoy. And enjoy I do! I’m pretty partial to high intensity varieties so my two favourite blends are Indiano (11) and Intenso (12). I can taste the difference between the single origin Nespresso varieties which Dave and I usually buy and blends such as Caffesso, but I think that’s just me being a coffee snob? 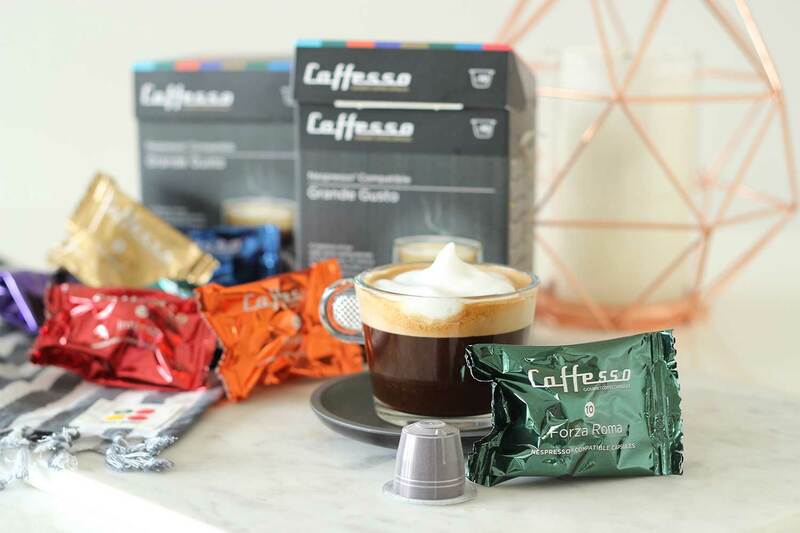 Caffesso provides a comparable, delicious, smooth alternative to Nespresso at a more budget friendly price, $7.50 for 10 capsules. This is really good coffee, definitely worth purchasing to help dilute the cost of this single portion coffee phenomena that so many of us are now in love with!